But why are they even showing up if I want to ignore them? This is anoying. It would be much better if they were just hidden, then we could focus on the important questions without having to scroll past the grayed out questions first. This is already available. Click on "edit" next to Favorite Tags on the right side of main page. 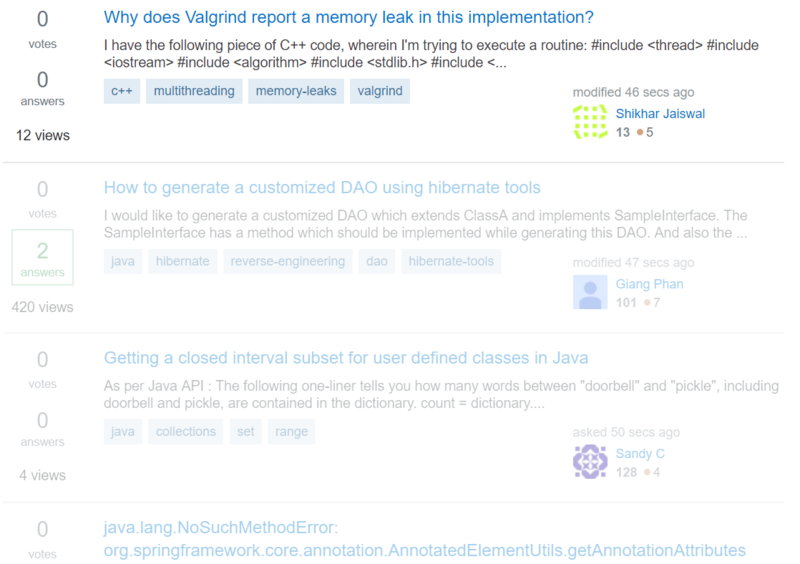 Under the Ignore Tags section, there should be a toggle option to grey out the questions or hide them. why questions with “too broad” tag are ignored or downvoted? Can the Needs Answer tab sort by Favorite and Ignored tags like the Home Page?